Today at Google I/O in San Francisco, Google developers Amit Joshi and Alex Russell took the stage at a breakout session to announce an important milestone: a version of Chrome Frame that doesn’t require admin rights to install. While this might not jump out at you as a huge thing, it’s big news for millions of users stuck working at offices or schools with older machines where admins won’t allow them to upgrade to newer, modern browsers. And some 30 percent of these users were not even able to install plug-ins for IE. Now there’s a way around that with the new dev build of Chrome Frame. You can install this within IE without needing admin access. Google has actually been working on this problem for months. While Chrome Frame was always a great idea for helping the world ween itself off IE6, 7, and 8, the admin issue remained a large one as users couldn’t do much without this access to install the plug-in. Google has finally figured out a way around that. 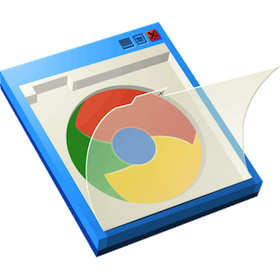 Russell was quick to note however that they also offer a range of tools for admins to use if they choose to, in order to set boundaries for Chrome Frame. But the admin issue was “a major roadblock” to the quick iterations that the entire Chrome team loves to do. So how did the team get around this problem? “Let’s talk backstage,” Joshi said with a big smile when asked this question. He said it’s a bit of a technical discussion. Russell said at a high level it was just about getting the technology to work in the browser itself rather than being seen as a traditional plug-in. When asked what Microsoft thought of this, neither Joshi nor Russell would comment. That probably says all you need to know right there. Again, this new feature is a part of the new dev build of Chrome Frame right now. It will be tested here and then roll out to the beta channel and then the stable channel eventually.